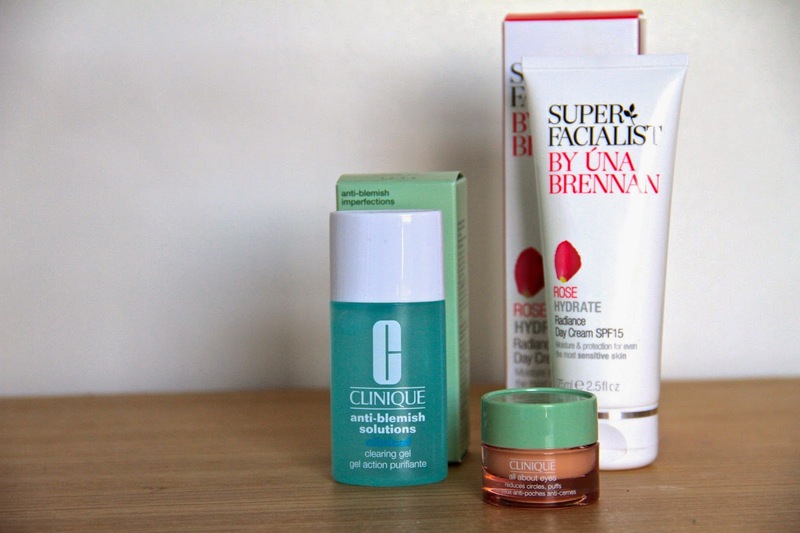 I had a little shopping spree a week ago and decided to show you a few of the products I bought myself to take away and target individual blemishes as well as tired looking eyes. Ive been finding myself staying up very late on a night due to work and university, and the affects are really beginning to show! Especially around my eyes they are beginning to get a bit puffy and tired looking. Ive also found my skin to be breaking out more often so I decided it was time to get some new products to try out and take this all away. The first product I purchased was the Super Facialist By Una Brennan Radiance Day Cream. Ive heard a lot about Una Brennan products and they have always being very positive especially the masks and face washes. This product really stood out to me as a daily moisturiser as it claims to enhance the radiance in your skin and take away the risks of outbreaks. Exactly what I need! … and boy does it do what it says. The moisturiser is very light on the skin, leaving it smooth NOT sticky. This is also a very good moisturiser if you have sensitive skin as it doesn’t have any harsh chemicals and contains UV filters to reduce sun damage, so this is perfect for the upcoming season. I picked this up for a very cheap £8.66. The second product I bought was the Clinique Anti-Blemish Solution. I have always being a big fan of Clinique and its range of products so I decided to give this a go. To use you apply a thin layer twice a day as a part of your skincare routine. After the first few days there wasn’t any dramatic effects, however I started to notice it really did take away the redness of spots and actually took away the break out and helped stop more coming back! At a costly £20 for only a 30ml tube, this is a little expensive however it is worth a try if you find yourself breaking out and want something to target specific blemishes. 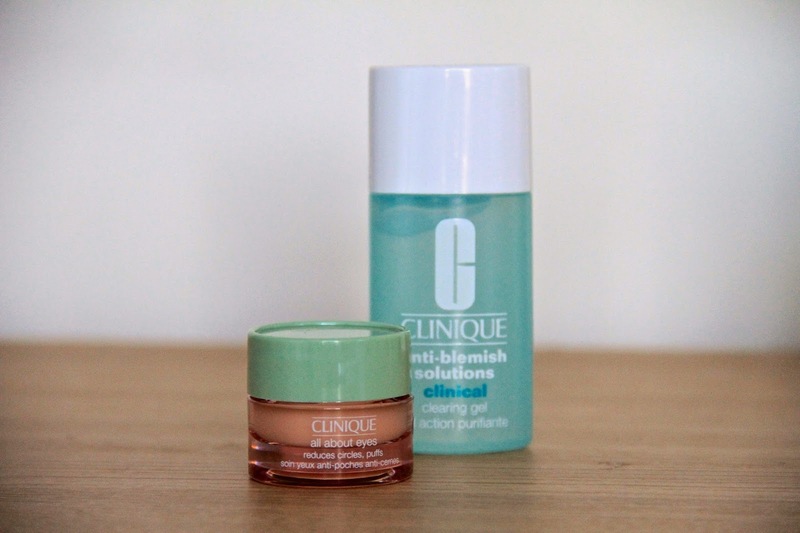 Lastly on my haul I picked up the Clinique All About Eyes Solution. This is amazing! On application, you can immediately feel the difference and your eyes feel so hydrated and alive! Yes alive, thats the only word I can use to describe the feeling! Applying once a day on a morning leaves you feeling much more awake and takes away the wake up puffiness I’ve recently being having. So there you go, all three products I really do recommend if your feeling the stress of Uni work! Thanks for reading guys and check out my older posts!